Chris “Tank” Tanski is back to defend his title against former Lambpardy champion Dylan Fields and former Lambpardy non-champion Nick Rehak in a battle for the ages. Who came out on top? Listen to find out! Plus, extra guest appearances from pretty much every guest. Also on tap: Rants and Raves of the Week and a game of Last Lamb Standing. It’s time for another year draft! To celebrated Jay’s upcoming 30th birthday we’re taking the opportunity to look at films from his birth year, 1987! Jay competed against Dylan, Todd, Richard and Nick to attempt to build the greatest team of movies released in 1987. Those teams will be available to vote on soon, but for now you can listen to the show. 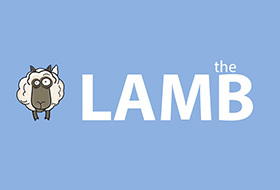 2013 LAMMY for Best Blog!